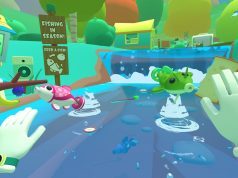 Owlchemy Labs, the studio behind breakout VR parody game Job Simulator (2016), announced that their upcoming sequel Vacation Simulator is coming to VR headsets in 2019, and not 2018 as previously planned. 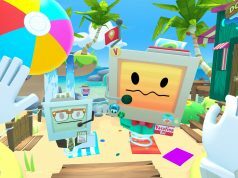 Much like Job Simulator, Vacation Simulator puts you in a future where robots have taken over every aspect of life. Their understanding of human interaction is missing a few key details though, resulting in a hilarious revisionist history of how humans must have lived, worked, and now, gone on holiday. The studio is remaining tight-lipped on the reasoning behind the delay, mentioning for the first time in a recent blogpost that the sequel is due out in early 2019. Vacation Simulator is touted as more expansive game than Job Simulator, and aims to be a longer, more narrative-driven experience. We went hand-on at GDC 2018 in March, getting a chance to feel out some of the studio’s hard-won lessons on fun object interaction in practice. 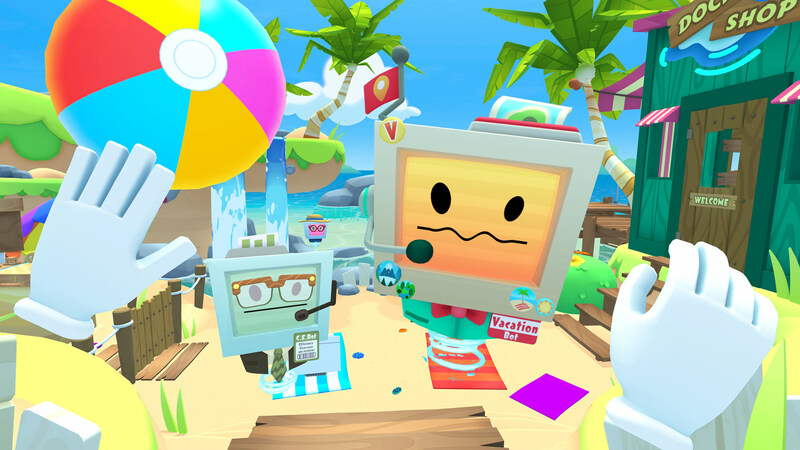 From what we’ve played, Vacation Simulator is set to offer a lot of the things that made Job Simulator a success, although the studio has included a number of new bits such as a custom avatar system, and the possibility of using your AR-capable smartphone to interact with players while they’re playing in VR. That said, it’s clear the now Google-owned Owlchemy Labs is aiming to produce another VR hit when it launches on Oculus Rift, HTC Vive, and PSVR early next year. These games are fairly simple and I think quite limited in their playability … that being said, kids LOVE THEM. 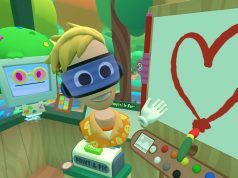 If you have kids or want to get kids you know excited about VR, there aren’t really any experiences better than Job Simulator for that. To complement the game, it is very robust — simple graphics render at full 90 hz without ever dropping frames, and I have yet to see a bug despite many hours of kid-testing play time. Maybe they are waiting to the Oculus Quest to open a bigger market. Oculus Quest launch title, probably. They’re very good at optimizing their games. I hope so, that would be pretty sweet.